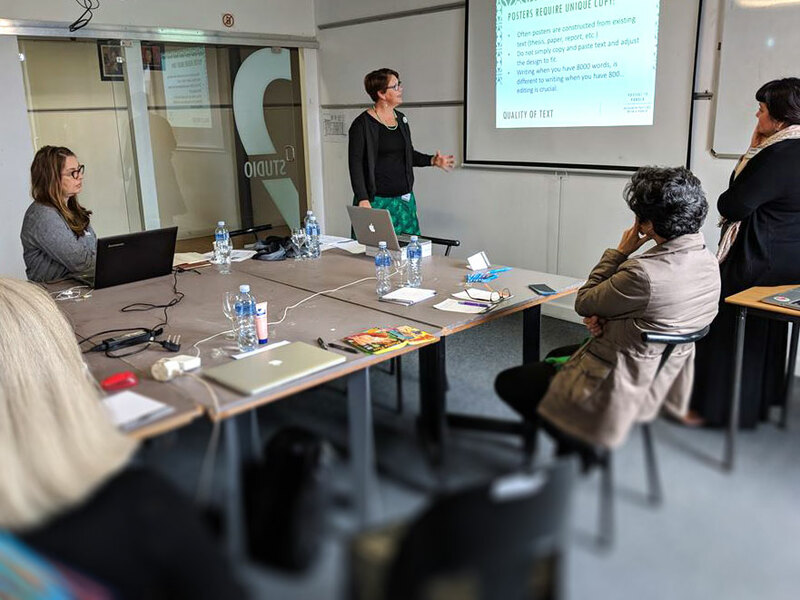 DEFSA held a successful abstract writing workshop on the 14 th of September aimed at encouraging members to write abstracts for the DEFSA 2019 conference. 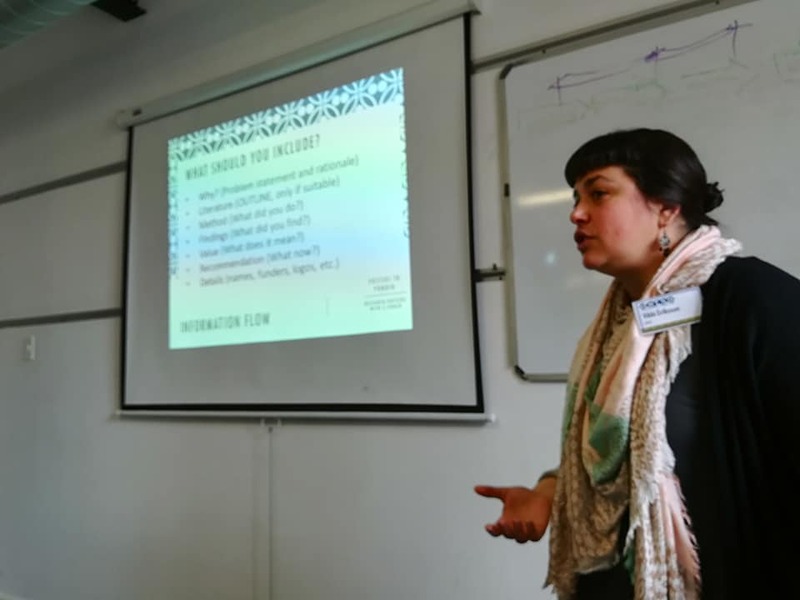 The workshop was hosted by Inscape Cape Town while simulcasts were run at Tshwane University of Technology and Nelson Mandela University. Over 40 design educators, facilitators and postgraduate students participated in the workshop. Professor Johannes Cronje Dean of Informatics &amp; Design at Cape Peninsula University of Technology started the workshop by encouraging participants to take a story telling approach to writing an abstract. He walked participants through the process, and they applied the story telling technique to create an outline for an abstract. There was a great deal of interaction, debate and feedback from participants at all three venues. and don’ts of poster presentation design and provided examples of successful poster design. 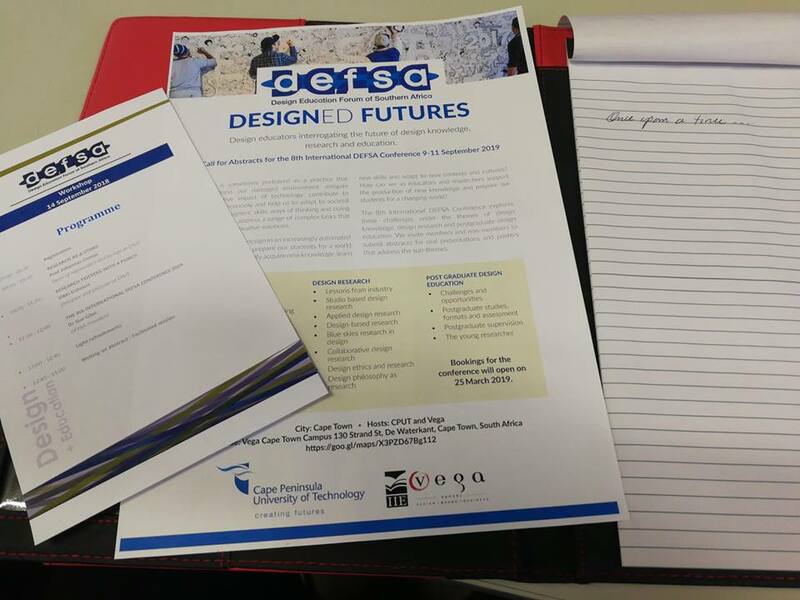 To conclude the presentations DEFSA President Dr Sue Giloi introduced the Design Futures theme for the 8 th International DEFSA conference to be held in September 2019. 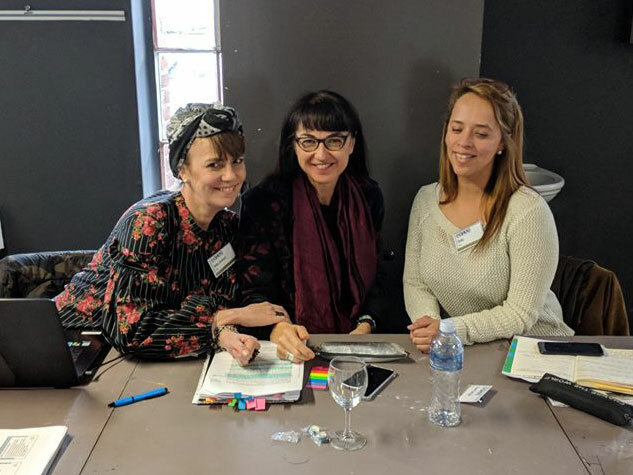 Participants at each campus then worked on fleshing out the abstracts they had started and received feedback and clarification from more experienced facilitators.